One of the main characteristics of the recent economic recovery in Portugal has been the surprising progress of the labour market. In fact, between 2014 and 2017, the number of jobs grew by more than 351,000, which represents an average annual growth of 1.9%, slightly higher than the average GDP growth of 1.8% in the same period. 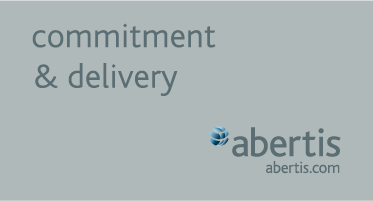 CaixaBank Research details the main factors that are contributing to this change. The economy has managed to create jobs in net terms starting at lower GDP growth rates than prior to the international financial crisis. As can be seen in the chart, the correlation between growth in employment and that of GDP (the so-called Okun curve) has become steeper since 2013, meaning that increases in the GDP growth rate are associated with a greater acceleration in the rate of job growth. 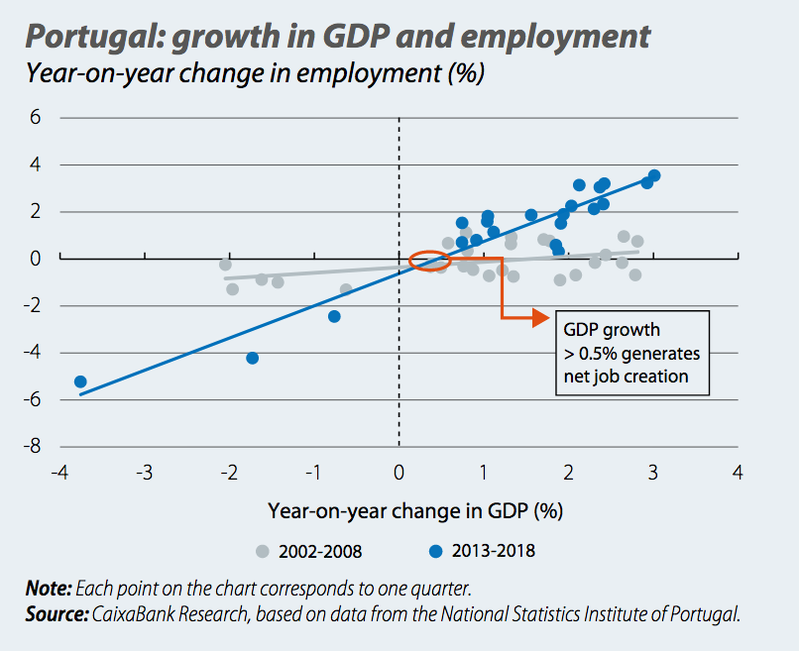 The chart also highlights that the Portuguese economy is now able to create employment starting at a year-on-year GDP growth rate of 0.5%, a rate significantly lower than that of the period between 2002 and 2008, when it was 1.5%. Nevertheless, it should be added that the rapid increase in employment in recent years is also a result of temporary factors. Specifically, the pressure on companies to cut costs during the recession forced many of them to reduce their workforce in excess, just in order to survive, a phenomenon that is reversing now that the recovery has become established. During the period 2008-2013, 630,000 jobs were destroyed (i.e. 12% of the positions that existed in 2008). 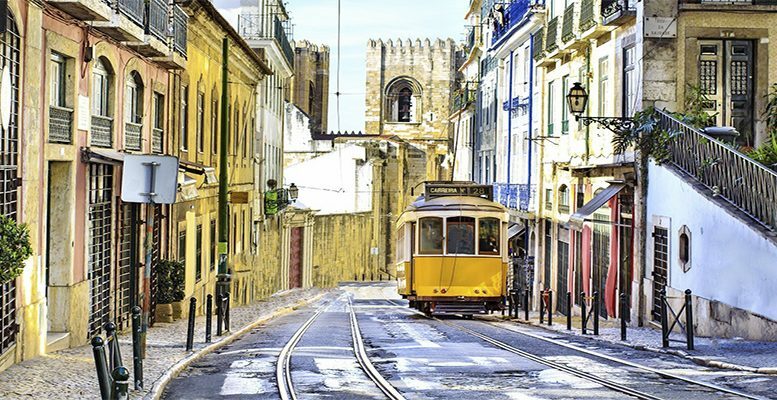 This was partly a result of a rigid and dual labour market, and partly because the Portuguese corporate sector is made up of small businesses, which are less likely to survive a recession. The rigidity of the labour market, as well as the lack of mechanisms available to reduce the number of hours worked per employee during the financial crisis, exacerbated the loss of jobs. In addition, the reduced protection for temporary workers (compared to those with a permanent contract) and the high market duality fostered a reduction in the number of employed people through their contracts not being renewed. The greater sensitivity of employment to GDP growth is also explained by the changes in the sectoral structure of GDP. During the period of recession (2008-2013), the loss of employment was greater in the construction sector (employment fell by 11.8% per annum) and in industry (–4.2%) than in the services sector (–0.8%). In this period, the weight of services in the total gross value added (GVA) increased to 76.7% in 2013, 2.5 pps higher than in 2008, while that of the construction sector fell by a similar proportion and that of industry remained stable. Thus, given that employment in the services sector tends to be highly sensitive to variations in GDP growth, the increase in the weight of the services sector helps to reduce the difference between the growth in GDP and that of total employment. Between Q1 2014 and Q2 2018, employment in the services sector experienced a cumulative growth of 12.5%, while the growth in GVA was more moderate, at 7.2%. However, the construction and industrial sectors have also made a major contribution to job growth, since they experienced significant job creation following the destruction of jobs observed during the recession. As an example, in the construction sector one in every two jobs were destroyed, while in industry the figure was one in every five. In cumulative terms, between Q1 2014 and Q2 2018, employment increased by 13.3% in the construction sector and by 14.9% in industry. 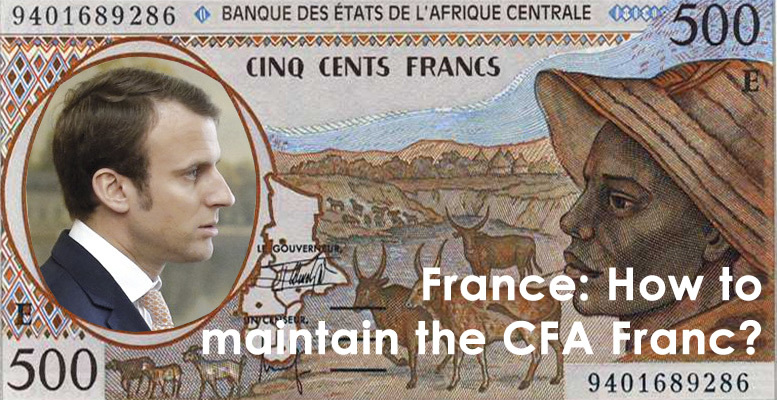 This was following cumulative reductions of 45.8% and 18.5% during the recession (2008-2013), respectively. What will be the relationship between employment and GDP in the future? The shift of the economy towards the tertiary sector (greater role of services in the productive structure), together with a less rigid labour market, will continue to foster a stronger relationship between employment and GDP in the future. As we have seen, according to the Okun curve, the economy is now able to create jobs at lower GDP growth rates than before, which allows individuals to benefit from the recovery in economic activity more quickly. The other side of the coin of the strong rate of job creation is the slower growth in labour productivity. Even if part of the strong employment creation is the result of temporary factors –suggesting that labour productivity growth might recover in the coming years–, there are reasons to believe that this recovery will be limited. In particular, the low educational attainment of a significant fraction of the Portuguese workforce remains an important factor. In fact, in 2017, Portugal was the EU country with the highest percentage of workers with an education level below secondary education.7 Increasing human capital remains one of the major challenges in order to boost productivity.